Nothing that I love more than a good puzzle game, and She Remembered Caterpillars is one, and even more. Yes, there isn’t a lot of action going on in the game, or is there? I say that because the game isn’t really much, at least on the surface. I’ll do my best to describe the gameplay as best as I can. 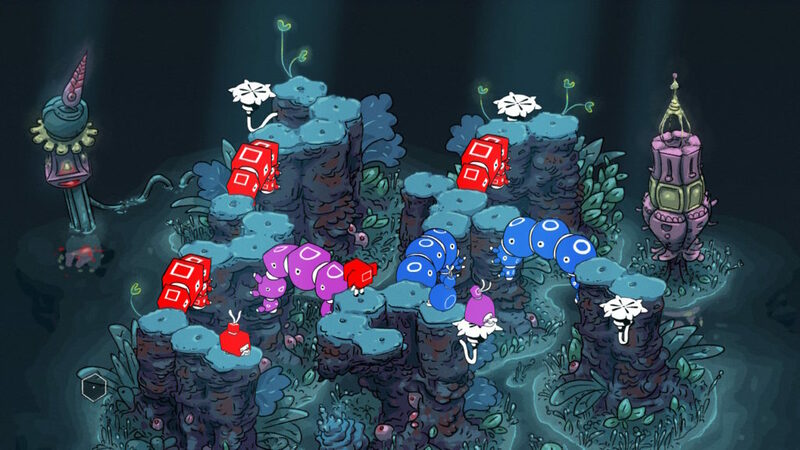 In each level, the player takes the command of these bugs that look like the sections of caterpillars. You can toggle between these sections, and their color determines where they will go. If you look in the illustration above, you will see bridges on the pathways. If you are a red bug-section, you can cross a red bridge. If you try and cross a bridge of another color, the bridge will become a drawbridge that will not allow you to cross. There are also gates that will block you if you are a certain color. The object is to get the bug sections to those white circular platforms so you can move on to the next level. Of course, it is easy, at first. Then suddenly, and I forget what level where this happens, but things get very complicated. Especially when the bridges become secondary colors like purple and orange, and this is when you have to merge sections to become fusions like something out of Steven Universe. 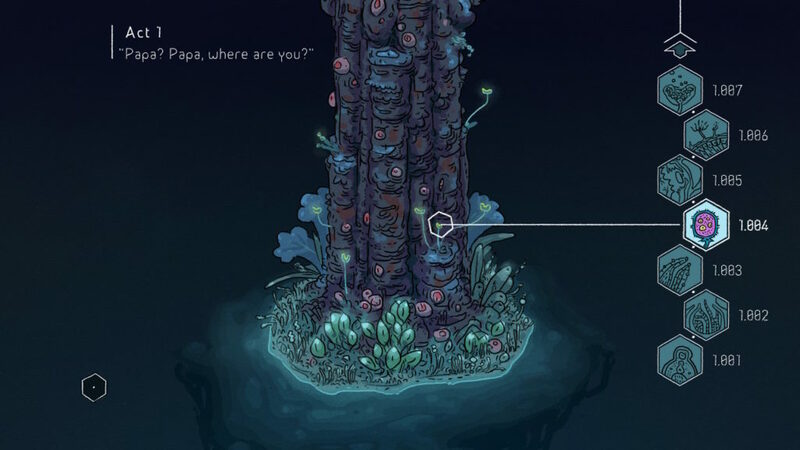 She Remembered Caterpillars feels very familiar, and maybe it is because other puzzle games follow its format. The solution to these games is always figuring out what moves to make before you do them, sort of like a complex Tower of Hanoi puzzle. Remember at the beginning of this review when I said there might be more going on with this puzzle game? Well, at the beginning of each level, there is this bit of texted story that sounds very tragic. It sounds like the dialogue you would say if someone were about to die, or some kind of tragedy. I am guessing that this story is what is supposed to keep you invested in solving the puzzles, and even though it is not needed, it does succeed at making the game better. On the whole, I’m going to give She Remembered Caterpillars four out of five stars. If you love these types of puzzle games, it will be much higher, and lower if you do not. Such is subjectivity of the genre.